Shane Desselle is President of Applied Pharmacy Solutions. He has years of experience in pharmacy practice, in academia, research, consulting, publishing, program development, and grantsmanship. Shane is formerly Dean and Professor at California Northstate University College of Pharmacy. He received his B.S. in Pharmacy and Ph.D. in Pharmacy Administration from the University of Louisiana at Monroe. He began is academic career at Long Island University, then became Director of Assessment & Educational Strategies at Duquesne University for 9 years. At Duquesne, Dr. Desselle was tenured and promoted to professor while earning College and University-level teaching and research awards. He then took a position as Associate Dean and Chair at the College of Pharmacy of the University of Oklahoma. He co-edits Pharmacy Management: Essentials for All Practice Settings, 3rd ed, the most widely used pharmacy management text, worldwide. He is founder and editor of Research in Social & Administrative Pharmacy and has served on the editorial boards of JMCP, JAPhA, and AJPE, as well as on Remington: The Science and Practice of Pharmacy. Dr. Desselle has served on AACP’s Board of Trustees and the Boards of the Northern California chapters of the Leukemia and Lymphoma Society and the American Diabetes Association. Dr. Desselle was recently named a Fulbright Specialist Scholar and awaits assignment in Australia and New Zealand. Shane has developed successful community outreach programs and public health initiatives. He has developed mentoring programs for pharmacists, pharmacy students, pharmacy academicians, and pharmacy technicians. He developed a career laddering mechanism for pharmacy technicians and has led task forces on pharmacy workforce at local, state, and national levels. He has been invited to speak throughout and even outside the U.S. on myriad topics. He has published over 80 original research articles and nearly 200 conference presentations. Dr. Desselle has taught courses in health care systems, health care economics, social/behavioral pharmacy, research methods, and pharmacy management. Anandi V. Law is Professor and Chair of the Department of Pharmacy Practice and Administration in the College of Pharmacy at Western University of Health Sciences, Pomona, California, where she has been since 1999. Since 2003, she has served as Director of an ACCP peer-reviewed Health Outcomes Fellowship having graduated 5 fellows placed in different parts of the world. Dr. Law has a Bachelor’s in Pharmacy (University of Mumbai, India), a Master’s in Pharmaceutics and PhD in Pharmaceutical Administration (both from the Ohio State University, Columbus, OH). Her research is focused on health outcomes measurement (clinical, economic and patient reported outcomes, patient safety and satisfaction); as well as pharmacists’ roles in providing clinical services in the community, such as Disease Management and Medication Therapy Management (MTM). Dr. Law has several grants, abstracts, book chapters and more than 40 peer-reviewed articles, in her areas of interest. She is active in professional associations such as AACP, APhA and ISPOR. She was recently installed on the Board of Directors of AACP. 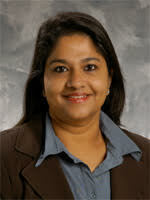 She is a graduate of the Academic Leadership Fellows Program through AACP in 2010, and was named Fellow of APhA in 2013. Dr. Law also serves as a consultant to research organizations, and volunteers on the Board of various professional and community organizations. Dr. Monica L. Skomo is Associate Professor of Pharmacy Practice and Director of the Office of Assessment and Educational Strategies at the Mylan School of Pharmacy, Duquesne University. She earned her B.S. Pharmacy and Doctor of Pharmacy degrees from Duquesne University and completed an Academic and Research Fellowship. Dr. Skomo is a Board Certified Ambulatory Care Pharmacist (BCACP). In addition, she holds certificates in pharmacy-based immunization, travel health, dyslipidemia disease management, and pharmaceutical care for patients with diabetes, and has authorization to administer injectables in the state of Pennsylvania. As a pharmacist clinician, Dr. Skomo has practiced in the community and ambulatory care settings. She currently practices in a pharmacist-managed ambulatory care clinic and provides medication therapy management, point-of-care testing, wellness, and screening services to patients with a wide variety of disease states including hypertension, hyperlipidemia, diabetes, asthma, gastroesophageal reflux disease (GERD), migraine and primary headache disorders, osteoporosis, tobacco use, weight management, and other chronic diseases. In addition, Dr. Skomo provides extensive immunization services, including travel health. Dr. Skomo helped to develop and managed the Spirit of Health Initiative, a mobile health unit that provides screening, medication therapy management, and immunization services to medically underserved individuals. Dr. Skomo has both didactic and experiential teaching responsibilities in the Mylan School of Pharmacy. Dr. Skomo completed the American College of Clinical Pharmacy (ACCP) Academy Teaching and Learning Certificate Program in 2010. She graduated from the American Association of Colleges of Pharmacy (AACP) Academic Leadership Fellows Program (ALFP) in 2012. Dr. Skomo engages in outcomes research in the ambulatory care setting and has focused on pharmacist care of migraine sufferers and pharmacist provided immunization and travel health services. She has published her findings in the pharmacy and medical literature. She has been successful in securing grant funding for her research and practice sites. In 2014, Dr. Skomo was appointed Director of the Office of Assessment and Educational Strategies. She served as Chair of the Self-Study for ACPE accreditation for the Mylan School of Pharmacy for 2013. She has received awards including the Class of 2013 Teacher of the Year Award (2012), Mylan School of Pharmacy Faculty Award (2011), Class of 2012 Teacher of the Year (2011), George H. Searight Community Service Award from the Pennsylvania Pharmacists Association (2011), and the Duquesne University 2010 Team Award for the “Wellness Team” (2010). 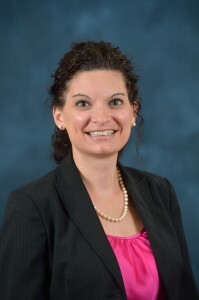 Erin Holmes is Associate Professor of Pharmacy Administration and Research Associate Professor of the Research Institute of Pharmaceutical Sciences at the University of Mississippi. Dr. Holmes earned her Doctor of Pharmacy Degree and Masters Degree in Pharmacy Administration at Duquesne University and completed her Doctoral Degree in Pharmacy Administration at the University of Mississippi. Dr. Holmes’ teaching responsibilities at the University of Mississippi include Pharmacy Management, Pharmacy Law, Pharmaceutical and Health Care Policy, and Personal Finance. Her research focuses on adherence management and service implementation in community pharmacy as well as work life outcomes and implementation of best practices in customer service, human resource management, organizational behavior, and compensation in pharmacy practice. Most notably, Dr. Holmes has co-developed a medication synchronization program and has implemented this service in pharmacies throughout Mississippi and other states. Dr. Holmes has received grant funding for the implementation of this service and examination of its outcomes as well as funding for her other research interests. Dr. Holmes has authored over 30 peer-reviewed publications, 70 contributed papers, and multiple book chapters. Dr. Holmes is a recipient of the University of Mississippi School of Pharmacy Faculty Service Award, two-time recipient of the University of Mississippi School of Pharmacy Pharmaceutical Sciences Teacher of the Year Award and is a University of Mississippi School of Pharmacy Distinguished Teaching Scholar.